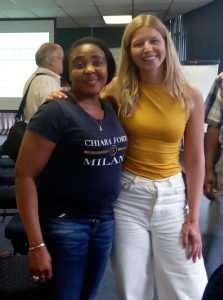 If the Migration and Health Project Southern Africa (maHp) is trying to improve responses to migration and health in southern Africa by generating and communicating knowledge… who is trying to action this on a global scale? The Migration Health and Development Research Initiative (MHDRI) – that’s who! Aimed at advancing collaboration between migration and health researchers, MHADRI – just like maHp – encourages the use of evidence-informed action to improve the health and wellbeing of those affected by migration. MHADRI is a network of active migration and health researchers focused on advancing ethical, inter-disciplinary research in these fields, with the hope of enhancing collaborations, resource accessibility and data sharing. MHADRI – of which the International Organisation for Migration (IOM) is secretariat – is a network committed to the meaningful representation of researchers in the global south, as well as the development and support of early-career researchers. However, in order to achieve its goals, the MHADRI network needs to engage in conversations with migration and health researchers to better understand the gaps that need to be filled.